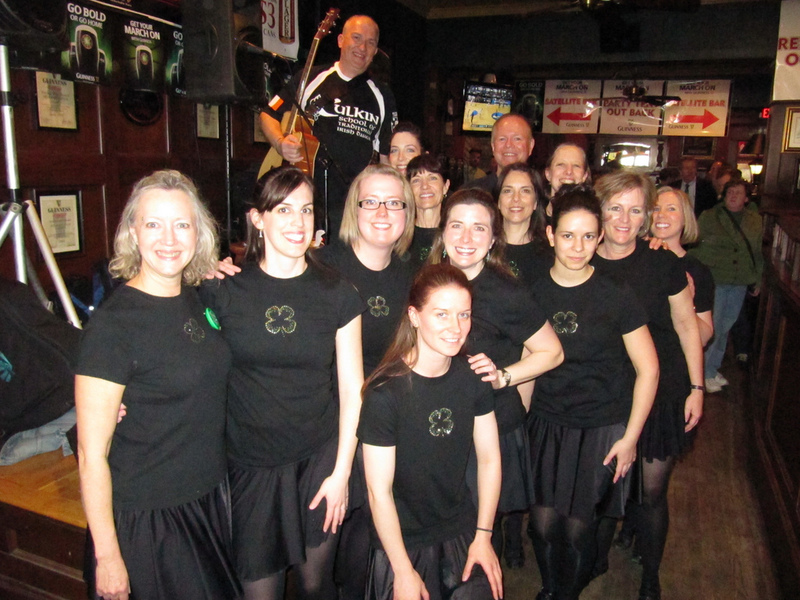 When I talk to other adult Irish dancers, I often find that they feel isolated. While you may be the only adult dancer in your area, there are thousands more who lace up their hard shoes and pound the floor with seasoned feet. Watch for more spotlights each month. I began Irish dance when I was 27, having grown up in Lexington, Kentucky, where, at the time, there were no Irish dance instructors. My first teacher with the Culkin School was Caterina Earle, TCRG, who had started dancing as an adult with one of the D.C. area's most well known instructors, Peggy O'Neill. Caterina really started the push for our adults to compete in local figures competitions and our first few regional Oireachtas competitions. In 1999, I competed at my first Oireachtas as an adult and our mixed four-hand team placed 1st at the Southern Region Oireachtas in Baltimore, Maryland. When the rules regarding adult dancing (in particular the "slow speed" ruling") changed, I was given the chance to "drop down" to the regular grade level competitions as a prizewinner. I qualified shortly after for Preliminary Championships and competed at the Southern Region Oireachtas in 2006, where I qualified for the North American Irish Dance Championships in Ottawa, Canada in 2007. That year I not only danced at the NAIDCs as a soloist, but the Culkin Adult ladies team, who I had worked closely with, placed 3rd. After the 2007 NAIDCs, I began a Master's degree program at Johns Hopkins University and my own dance career was put on hold for two years. Two days after graduating from JHU, as I was preparing to return to solo competition, I broke my foot in dance class (a Jones' fracture). While I had planned on beginning preparations for my TCRG that summer and fall, the fracture took more than 6 months to recover from and so I registered for the TMRF exam instead. I took the TMRF in Boston in September 2010 and found out this past December that I had passed the exam. I currently serve as the primary instructor for the Culkin School's adult figure (team) classes, and as a choreographer have created original works that have been included in performances at the Kennedy Center and throughout the Washington, D.C. area. If you are an adult Irish dancer (any level or age) and would like to be spotlighted, please send an email to christy at dorrity dot net.